Photo by Evelyn Durst from KEW Gardens. I vent to KEW and took a photo of the leaves and another one of the caudex. 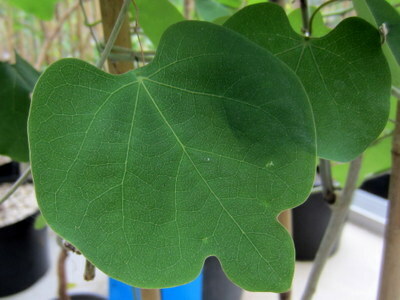 This member of the Passifloraceae family was given this name by Joseph Marie Henry Alfred Perrier de la Bâthie in 1940. It is found on Madagascar, growing in a well drained soil with some water and some sun. 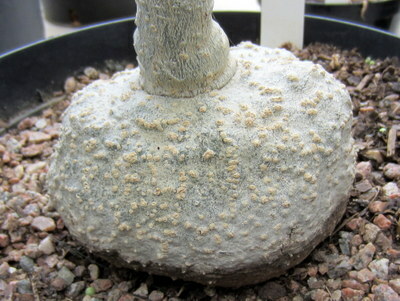 The caudex can grow to 20 centimetres, the vines up to two metres. The flowers are greenish white.